All maintenance, filters and initial bottles are included with your monthly lease. 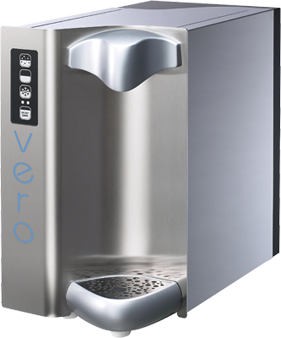 Vero Water® also supplies menu inserts and educational materials that provide information for both our clients and their patrons explaining why Vero is the world's greenest premium bottled water. Chilling Capacity: 40 - 90 liters in an hour2 available. Please call for details. 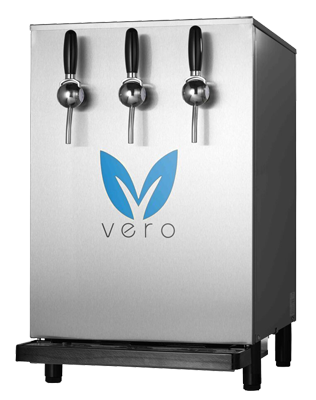 External purification box (16”x 24” x 5”) required with Vero i1, Vero +1 and Tower Dispensers. Please allow for two inches of clearance on all sides to allow for proper air circulation into system. 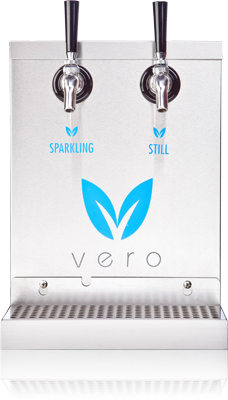 All Vero Water Dispensers require an external CO2 supply to make sparkling water. 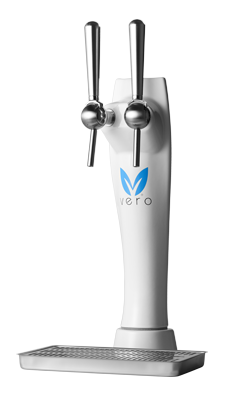 CO2 is not supplied by Vero Water. 1) Chilling capacities vary with local ambient water temperatures.